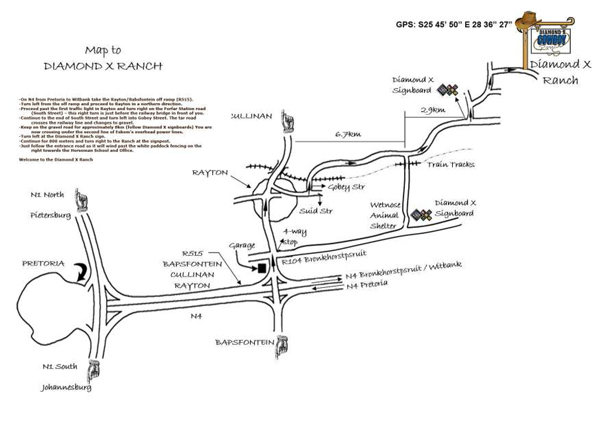 Guys and Girls, as promised, we bring you the directions to the forthcoming Maxxis SA National 4XTR Racing Championship near Rayton this coming Saturday 11 October, see map with GPS coordinates attached. The action starts at 09h30 and carries on till late afternoon. There will be food and drinks stalls, you are also welcome to bring your own food and drinks. Remember a hat, sunscreen and good walking shoes / boots to get to all the obstacles. Did I mention there will be a bit of dust from time-to-time? Team Kwagga hopes to see many of our sponsors, friends and supporters out there on Saturday, this is the second last event of the 2014 Championship season and also the second last time that Kwagga will be in action! After the last event near Molteno in early November, Kwagga gets stripped to pieces to give us parts to build next year’s 4x4 called Kobra.